Therapeutic Parenting is the term used to describe the type of high structure/high nurture intentional parenting that fosters the feelings of safety and connectedness so that a traumatized child can begin to heal and attach. Learning to parent therapeutically is the single most important thing you can do to help your traumatized/attachment-disordered child. So, How Do I Become a Therapeutic Parent? Focus on Safety — actual safety of EVERYONE in the family, as well as “felt safety”. Often our traumatized children do not feel safe due to what’s happened in their past. Connected Parenting — therapeutic parents look under the behaviors to what they’re communicating. Being playful, curious, and trying to attune to your child are all connected strategies. Intentional Parenting — being purposeful about what you do and knowing why you are using a specific tool or strategy. Being intentional means having a plan in place and makes it easier to respond to your child and not react to behaviors. Keeping a long-term perspective and practicing self-care. Therapeutic parenting is not for wimps! Our children often don’t heal quickly. We therapeutic parents have to be committed to this intense parenting for a long time, and that requires that we find ways to take care of ourselves physically, emotionally and spiritually so we have the energy to give to our children. 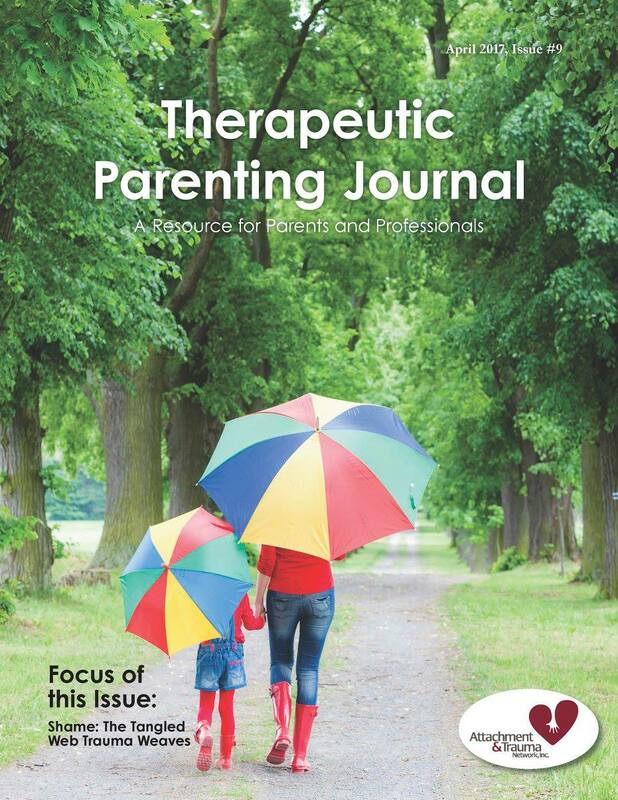 Learn more about Therapeutic Parenting through the webinars, books and other resources in ATN’s Learning Center. These cards are a quick reminder of the Essentials of Therapeutic Parenting. The overall goals of parenting in this intentional, therapeutic way are REGULATION & RELATIONSHIP. Put another way, our job is to “Calm and Connect”. Traumatized children (especially those who present with attachment difficulties) have a difficult time trusting their caregiver. They operate from a fear-based world view. It is because of this that creating a feeling of safety for the child is so important, so they can let down their defenses and process all the positive things we parents want to give them. But, it is precisely this fear of trusting a caregiver and intense need for safety that makes the balance between structure and nurture so critical. It is important that children from a background of trauma feel safe – and structure makes people feel safe. Consistent boundaries held in place by loving, yet firm parents is something the child can depend on. We all feel safe knowing where the boundaries are and what we can depend on. But structure without nurture can feel cold and punishing. This is why providing high structure must be done in a calm, self-regulated manner (parent remaining calm, with body language that conveys love and self-confidence). In therapeutic parenting, limiting a child’s choices, their activities or their access to stimulating things is necessary. Establishing boundaries and routines are a must. But this high structure can also seem very controlling and children whose previous lives have been full of chaos will often find this level of control very uncomfortable at first. This is why it must be done with an attitude of love and respect for the child. And the child, even if being oppositional, clearly hears the message that “this parent cares about me, about what I do, about how I behave.” The parent’s calm, loving structure also conveys the message of strength –that the parent is strong enough to handle the child’s deepest, darkest turmoil. Over time, the child starts to feel safe. Who wouldn’t feel safe in a nurturing environment? You guessed it…a traumatized child! Parents expect their child to have a reciprocal relationship with them — one where the child gives back positive emotions, where the two feel attuned and attached. The parent of a traumatized child is often very surprised (and dismayed) to learn that our children don’t (really they can’t) respond in that way. Often the more the parent tries to nurture and shower the child with loving interactions, the more the child’s behavior “pushes away.” An environment that is too nurturing feels foreign to the traumatized child too. Nurturing attempts can feel to the child as too permissive and leaves the child with doubts as to if the parent is strong enough to handle the seriousness of the child’s “big feelings”. 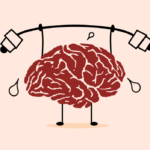 While most healthy children respond positively to nurture and praise, one reason traumatized children are often suspect of it, because it doesn’t match with their own self-image,. “I’m just not good enough to deserve to be treated like this.” Or they see the adult as gullible and not strong enough to understand all the feelings of anger and rage within the child. So your traumatized child may reject some of the most typical acts of nurturing, like hugs and gifts. He may “purposely” sabotage your attempts to be loving and kind. His fear-based (and shame-based) brain almost appears to be craving the anger and disappointment he creates in you as he rejects your nurturing attempts. Yet, nurture, even in very small micro-doses is exactly what your child needs and critical to helping our children’s hearts to heal. Continuing to meet this child’s behaviors with a calm, regulated response is necessary. As therapeutic parents we have to find ways to “pour into” our children the nurturing they need and give them messages that are counter to the negative self-view and negative world-view they have. No parent is perfect, so reaching the optimum balance between high structure and high nurture is very difficult. Everyday you will err on one side or the other. The goal is to recognize the need for both and to practice. And to self-assess to figure out which side you do seem to be erring on, so you’re able to use strategies to get back into balance. Therapeutic parenting is not simple, nor is it easy. Being purposeful in our parenting causes us to need to think about what we’re doing…a lot! It also requires that we remain calm and regulated in situations where our children’s behaviors may really make that difficult. Just like a professional athlete wouldn’t take the field or court without proper training, exercise, practice, coaching and supports, therapeutic parents MUST equip themselves as well. The Attachment & Trauma Network was founded to support parents of traumatized and attachment-disordered children. That support includes the opportunity to share with a community of experienced parents and trauma-informed, attachment-focused professionals. “You’re not alone” has emerged as a slogan for both the parent-to-parent support we do and the message of safety and support we send to our children. Please find others walking this walk to support you. ATN has online groups available and experienced therapeutic parents available via phone and email. Below are some parenting training programs that ATN members have reported worked well for their families. As ATN has developed our Essential Conversations for Therapeutic Parents, we have drawn from many of these. Some were designed specifically for traumatized children and/or those with attachment disorders, others were designed for all children, but have regulating and nurturing components that work well for many of our families. Some strategies may work well for your family; others may not. And some strategies work better at different stages in the child’s development and healing. DDP Parenting (PACE) – Daniel Hughes, Ph.D.
TBRI/The Connected Child by Karyn Purvis, Ph.D. 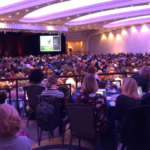 The Whole Brain Child by Daniel Siegel, MD and Tina Payne Bryson, Ph.D.
And, of course…workshops and webinars through ATN’s Creating Trauma-Sensitive Schools and ATN’s Therapeutic Parenting Journal! Don’t take your child’s behaviors personally – it’s not about you; it’s about what happened to them. Don’t forget to extend to yourself the same patience and grace you extend to your child. Remember that the child’s behaviors are based in fear (and sometimes in shame), even though they may be expressed as anger, aggression, violence and rejection. Remaining calm, regulated, and positive yourself is the key to making any strategy successful. If your child’s behaviors are triggering emotional issues for you, seek counseling for yourself (and for your marriage). Ask your child’s attachment therapist for recommendations. Reach out to other parents for support, both locally and through ATN. Build respite (breaks from your child) into your family’s life. This is important for each parent, for the parents as a couple (date nights) and for the parents to spend time with siblings. For years, I felt frustrated by parents and therapists suggesting I just read fill-in-the-blank adoption books by fill-in-the-blank authors. I’d already read all of those parenting books. I’d highlighted them and made notes in the margins. But the well-worn copies on my bookshelf didn’t seem to help. Sometimes the most worthy book suggestions even seemed to hurt our family.